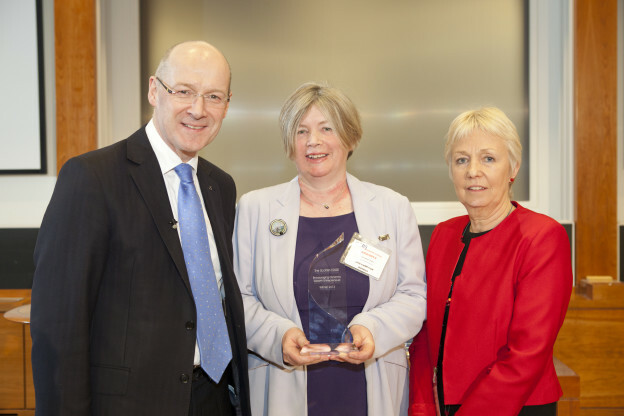 On Monday 22nd February we were delighted to be winners of the Scottish EDGE award 2013 – an exciting new Dragon’s Den style fund which aims to support and encourage entrepreneurial activity in Scotland. The fund was open to ambitious entrepreneurs looking to set up or grow their businesses, with those demonstrating the most potential winning up to £50,000. The final twenty candidates attended a celebratory event on 12th February at the RBS Business School in Edinburgh where the winners were announced by John Swinney MSP, Scotland’s Cabinet Secretary for Finance, Employment and Sustainable Growth.Over 200 companies applied for the award, 100 made it through to pitch live at three regional panels with twenty finalists going on to pitch again to a panel of judges that included Sir Willie Haughey (City Refrigeration), Sir Tom Hunter (Hunter Foundation), Julie Grieve (PSYBT), Alex Paterson (Highlands and Islands Enterprise, HIE) and Gordon Merrylees (RBS). This entry was posted in Blog on February 20, 2013 by Joan Murphy.